Derbies and dinosaurs dominated over on the continent this weekend. When I say dinosaurs I don't mean the Andy Gray 'what's a throw in coach?' 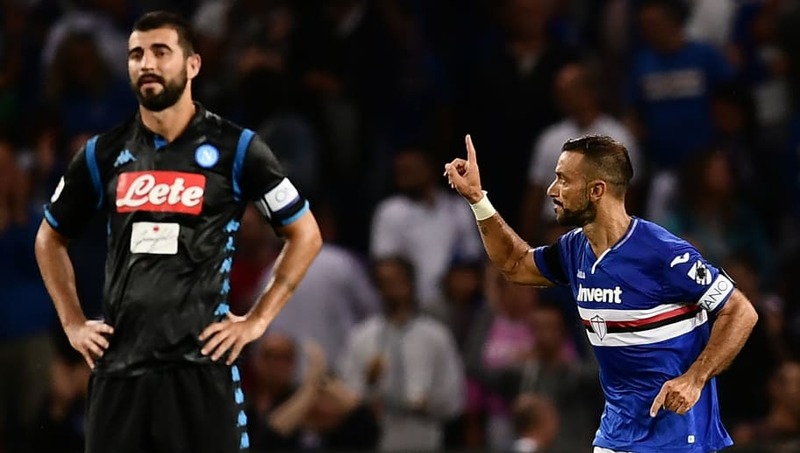 kind, but rather magnificent old beasts like Joaquin and Fabio Quagliarella, who have refused to become extinct in today's game. Let's start with the derbies. 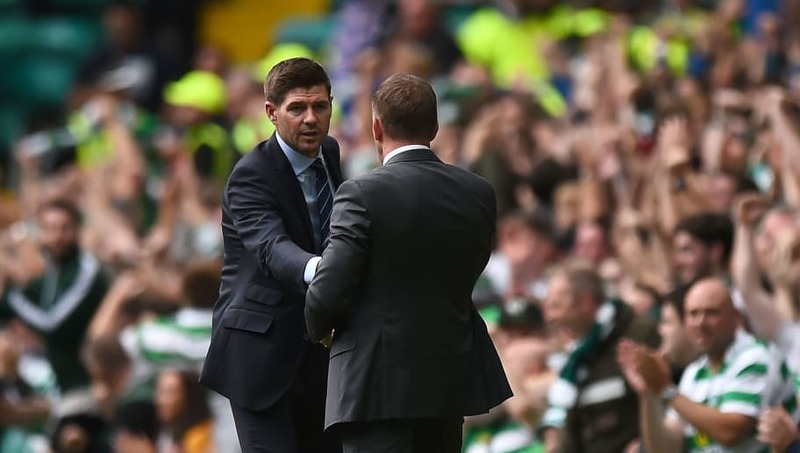 North of the border, the first Old Firm battle of the season was won by Celtic, with Brendan Rodgers getting the better of his former Liverpool captain Steven Gerrard. With only five yellow cards and one goal, it was a fairly tepid affair at Celtic Park with Olivier Ntcham finishing off a fine counter attack to win it for the Scottish Premiership champions. Celtic fans could be heard singing 'Cheer up, Steven Gerrard' to the tune of Sleepy Jean by the Monkees. As several, including Guardian cartoonist David Squires, pointed out on Twitter surely 'Cheer up, Stevie G' scans much better. Less hotly contested but still a derby geographically, Marseille's late show away at Monaco on Sunday night might have been the pick of the weekend's games across the continent. The hosts rallied back after an early goal from Forgettable Fulham Forward (FFF) Kostas Mitroglou to lead 2-1 in the second half thanks to strikes from Youri Tielemans and Radamel Falcao. 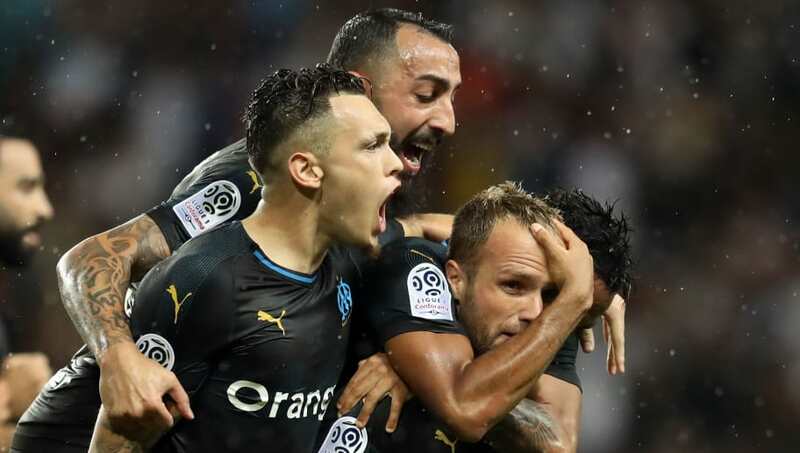 However, another Premier League flop in Florian Thauvin struck back to level the score with 15 to go, before ex-Monaco man Valere Germain headed in the winner on the 90th minute mark. Marseille defender Adil Rami, who was cheered on in the stadium by partner Pamela Anderson, sheepishly joked after the game that thanks to his error for Falcao's goal he "had made a match of it, all on my own". Hmmmm. Incidentally, it was Marseille's first away win at Monaco since 2010. Frequently cited as the hottest city in Europe, Seville's main derby has also become the hottest ticket around for Spanish football fans interested in atmosphere and sick of El Clasico's over commercialisation. 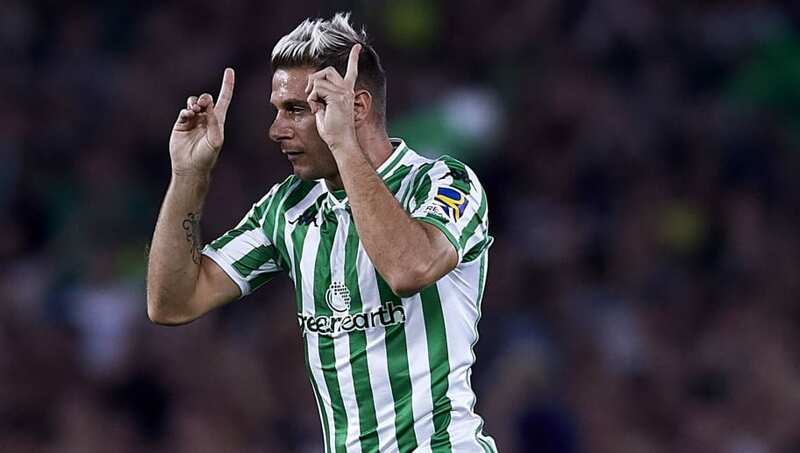 While Real Betis and Sevilla played out a 3-5 last season, El Gran Derbi produced just one goal this season, but what a one it was. With the game set for stalemate, 73-year-old* Joaquin Sanchez Rodriguez popped up with a match-winning header, giving Betis their first win over their arch rivals at the Benito Villamarin since 2006. Joaquin was part of the team that day too. 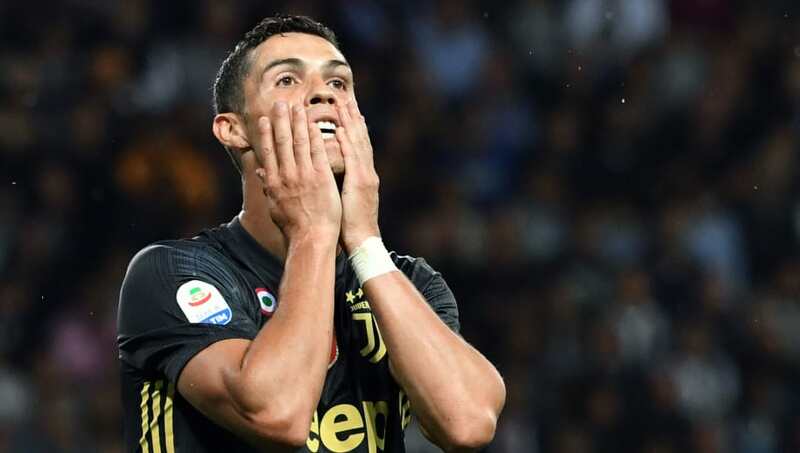 Cristiano Ronaldo is now three games without a goal in Serie A, but his son (Cristiano Jnr) is having no trouble finding the net for the Old Lady's Under-9 side, hammering in four on his debut for the youth team. Juve manager Max Allegri put Ronaldo Snr's failure to launch thus far down to an adjustment period. "Italian football presents different problems and it takes time," he explained. "He’s not getting the rub of the green at the moment either – the ball is not bouncing right for him or he’s shooting just off target." If things don't work out with CR7, Juve can always fast-track junior to the first team. 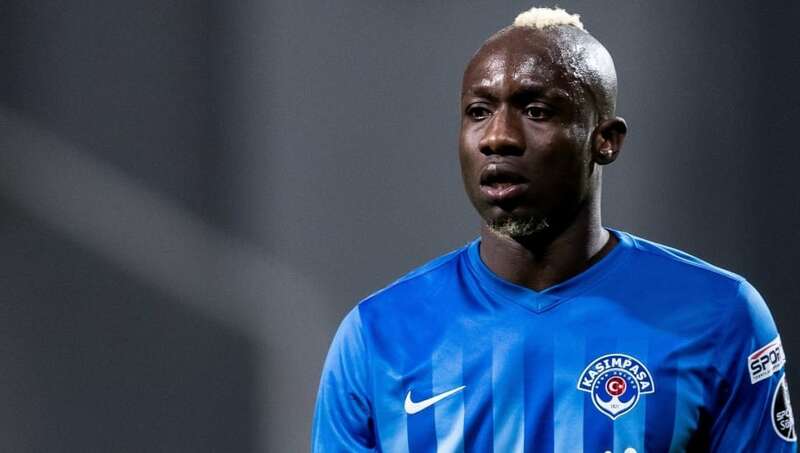 One man who is having absolutely no trouble finding the net so far this season is Kasimpasa's Mbaye Diagne. The 26-year-old Senegalese front man has six already going into the international break - the most of any player in Europe's major top flight divisions. Diagne scored again in a 2-1 win over Ankaragucu at the weekend, as Kasimpasa take a surprise lead at the top of the Turkish Super Lig. Since signing from Tianjin Teda in 2017, the forward has a mightily impressive haul of 18 in 21 in the Turkish top flight. Expect a £40m January bid from the Premier League struggler (probably West Ham) at this rate. 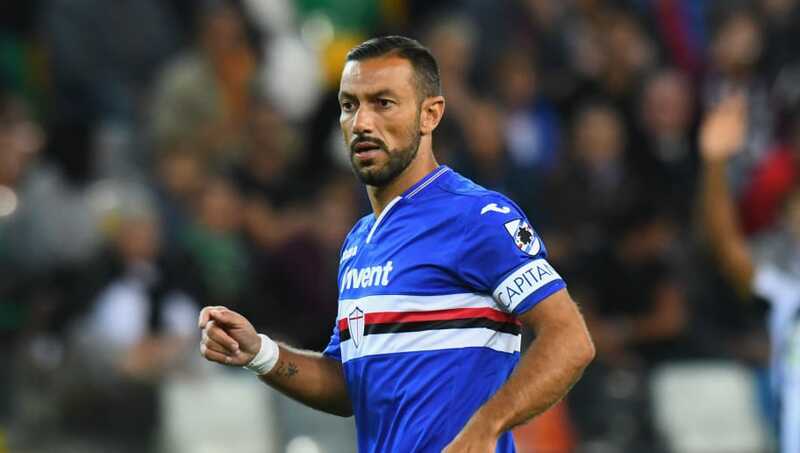 The best goal of the weekend (maybe of all time) however came from 35-year-old Fabio Quagliarella in Sampdoria's 3-0 demolition of Napoli on Sunday evening. The veteran striker turned in a backheel volley against his old club with the grace and nonchalance of a world class ballerina flicking socks into a laundry basket. If you haven't seen it already, what on earth are you still reading this for?! When asked about the Puskas Award worthy effort after the game, Quags modestly admitted - such is his penchant for worldies - that it's in his top three all time efforts.